Nikola Tesla's mother, Djuka, though always described accurately enough as an illiterate, but an extraordinarily gifted woman, has been, at various times, and often enough, referred to, and spoken of, as a Croat. There was a tendency in the former Yugoslavia to look for unifying factors which would help bring its different nationalities closer together; thus, a certain political task fell on the Tesla mother and son, and Djuka became a Croat, and in some unscrupulous quarters is still so regarded, the demise of the former country, and the destruction of Tesla's birthplace in 1941, and fires, vandalism, desecration, and blowing up of Tesla's monuments again in 1992, notwithstanding. Georgina-Djuka Tesla was born in Tomingaj ("Tomo's wood enclosure" - so named after her great-grandfather), the daughter of Nikola Mandic (1800-1863), a Serbian Orthodox priest in Gracac, and the grandfather of Toma Budisavljevic (1777-1840), another priest, who was also a military commander, a cartwright, and a fine bookbinder. She was the oldest of eight children. Her mother became blind when Djuka was 16 years old, and so it fell to her to look after her seven younger siblings, until her marriage to Milutin in 1847. Djuka and Milutin Tesla had five children: Dane (1848-63), Angelina (married name Trbojevic), Milka (married name Glumicic), Nikola (1856-1943), and Marica (married name Kosanovic). All three girls married Serbian Orthodox priests. 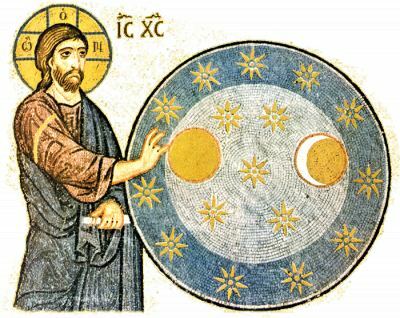 Nikola, the fourth child, was born on June 28, according to the Julian calendar, or July 10, according to the modern calendar. He was born "at the stroke of midnight" during a summer storm and lightning. The village midwife, afraid of storms, said, "He'll be a child of the storm," to which the mother replied, "No, of light." Nikola's Baptism Certificate, in the Nikola Tesla Museum in Belgrade, states that he was born on June 28, and christened the very next day, by the Serbian priest from nearby Gospic, Toma Oklobdzija; the godfather was Jovan Drenovac, a Captain in the Krajina army, also of Gospic. This baptism, within twenty-four hours of birth, with the priest coming to the house, instead of the child being taken to the church, is believed to have been due to the seeming poor health of the infant. According to Tesla's autobiography My Inventions, he regarded his mother as a "woman of genius, especially gifted with a sense of intuition", and credited her with whatever inventiveness and destiny in life he posessed. Djuka invented sevaral labor-saving devices and appliances. She was a true artist with the needle, and her exquisite home-spun, embroidered travel bag, which Nikola kept all his life, may be seen in the Museum in Belgrade. Milutin died in 1879. 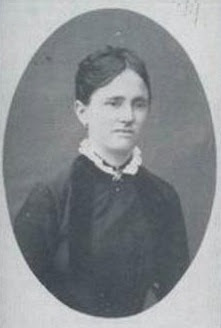 Djuka continued to live in Gospic, with her brother, Priest Petar, who had succeeded his brother-in-law in the church in Gospic, supported by Nikola, who was to go to America in 1884. According to an article in the Srbobran Zagreb, for April 15, 1892, Djuka died on April 4 of that year, on Easter Saturday, at one o'clock in the morning. Nikola had rushed home from Paris, arriving only hours earlier, to see his mother still alive. Her last words were, "You've arrived, Nidzo, my dear." (Stizes, Nidzo, moja diko). Whether Milutin and Djuka's stones still stand is not known, but their remembrance throughout the world had been secured for them by their son. Most clergy families in Lika were related by blood. In Djuka's family, for several generations before her, and for years afterward, in every generaton, at least one son went into priesthood, and one daughter married a clergyman. All together, within the Mandic - Tesla families, in a span of less than 200 years, there were 36 Serbian Orthodox priests. The Second World war found six priests serving in the parishes in Lika. One died of natural causes in July 1941, while the other five were killed by Croat fascists, one of them, Milos Mandic, dying under tortures fit only to describe as courtroom evidence. By now, most of the churches in which the Mandic and Tesla priests served, have been burnt down, or lie in ruins. Djuka Tesla's birth house in Tomingaj, although "under the protection of the state" from 1945-91, was allowed to go to ruin. Source: The American Srbobran, Pittsburgh, March, 2001; Voice of Canadian Serbs, Toronto, April, 2001; Serbia, Hamilton, Canada, January, 2002.